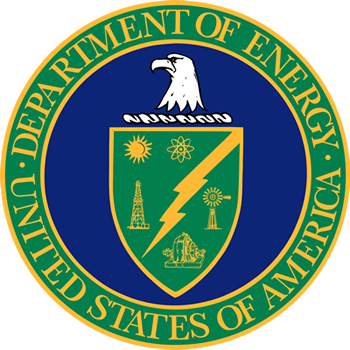 The Department of Energy (DoE) need a secure, private cloud system and computing services. Balanced Capabilities: Most federal customers have distinct requirements for monitoring and management, often requiring hardware appliances to be deployed in traditional ‘co-located’ architectures. ActioNet provides a balanced approach to support these mixed solutions, while still maximizing the benefits of cloud computing. Cloud Acquisition: Often the greatest advantage of cloud computing over traditional IT infrastructure is that metered or fixed costs are easy to budget with no capital investment for equipment refresh. ActioNet utilizes cloud procurement methodologies providing even for more flexibility for agency infrastructure and hosting services. Flexible Standards: Adopting ‘big box’ style cloud computing, often means committing exclusively to a specific standard and Application Programming Interface (API). ActioNet’s approach to cloud computing is committed to serving the customer, not forcing them into a commodity category. Whatever the mission requirements dictates, ActioNet can support through extensive industry partnerships and in-depth integration experience. Innovative Management: Given current fiscal constraints, and the increasing pressure of mission and technology management, agencies must continue to find innovative ways to transform their IT landscape. ActioNet evolves beyond recharacterizing existing managed service-provider costs, by leveraging automation and an ‘integrated lights out’ approach to providing efficient and effective infrastructure. This allows agencies to simultaneously modernize infrastructure services while refocusing cost savings into other IT initiatives, instead of managing equipment and labor-intensive services. A number of federal policies, such as the Federal Data Center Consolidation Initiative and the Digital Government Strategy, are driving transformation and modernization in agency services. However, no pressure is greater than the agency’s mission priorities; serving citizens and our nation. Supporting those needs and meeting these challenges was a distinct goal of Information Technology and ActioNet’s strategies and solutions. A major aspect of this project was driving new successes for “Mission oriented Infrastructure” (MoI) to help agencies work in and agile manner and move beyond commodity services. Our cooperative service offerings start by working collaborative with agencies existing platforms, and providing integrated solutions that leverage the best characteristics of commercial components and custom infrastructure, without forcing agencies to become expert integrators. We advised and brokered solutions, deploying custom and private infrastructure, to meet an agency’s mission standards and service requirements; MoI is about your mission, your cloud, your standards, and we’re excited to help you achieve success. One year later, the custom computer environment is hosting critical core services, including agency credential and collaboration workloads and all because of our MoI tactic.